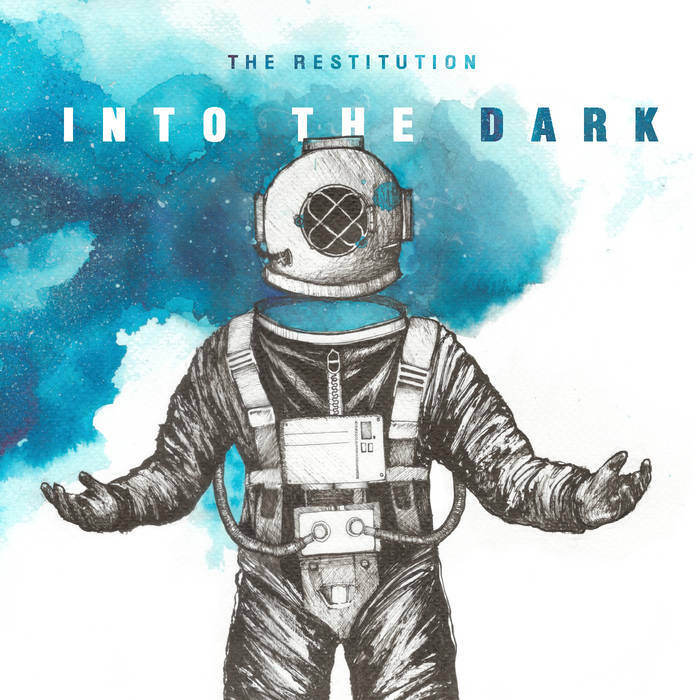 The Restitution is a one-man progressive metal band from the US and this is his second album. 2013’s Waves was a very enjoyable and impressive release, and I can’t believe it’s been four years since it came out. Progressive, melodic, cerebral, sophisticated, talented, engaging, thoughtful, dark, emotive…this is essentially a collection of appropriate words that can applied to Into the Dark. Building on everything that was good and right about Waves, Into the Dark justifies its four year gestation by providing the listener with a wealth of rich, multifaceted dark music to explore. Tool, Isis, Deftones, Radiohead, Cave In, Muse, Filter, Devil Soul His Soul…these are just some of the bands that I hear in this work, but this is without Into the Dark ever sounding derivative. The music combines progressive metal/rock and post-metal/rock to produce over 50 minutes of engaging, layered, and emotive music. The songs are well-written and show a good understanding of what makes this style of music so effective. The music is full of feeling, and this is ultimately what keeps you listening. The tracks are catchy and memorable, mostly in a negatively charged, kind of bleak way, which is exactly what you want from this type of thing. Upbeat and bright music just doesn’t have the same kind of impact or lasting appeal. Waves was good, Into the Dark is better. Highly recommended for any fan of contemporary progressive music. This entry was posted in Metal and tagged Cave-In, Deftones, Devil Soul His Soul, Filter, Isis, Metal, Muse, Progressive metal, Radiohead, The Restitution, Tool. Bookmark the permalink.